Sunny (Frederick Lee), a film director, returns to his hometown of Penang to shoot a new film, an autobiographical story about his family, all without his family’s knowledge or approval. 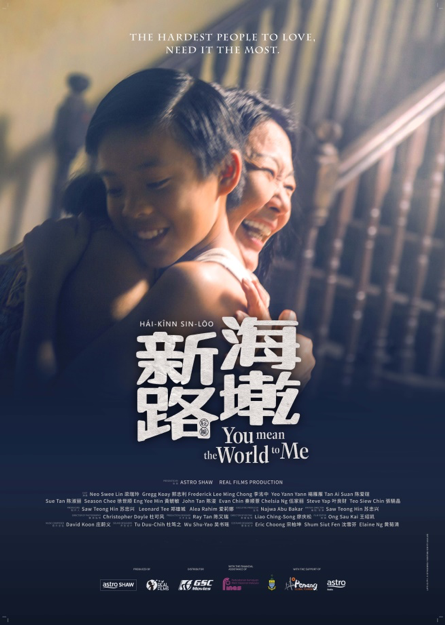 It has been years since he was last home, and his family members – especially his older sister Hoon (Yeo Yann Yann), his aunts Grace (Sue Tan) and Vivian (Tan Ai Suan) – and his old schoolmates are excited to see him, thinking that he’s been living a rich and successful life in Kuala Lumpur. But the reality is that Sunny drives a beat-up car, has relationship problems, and is running out of money for his new film. The reason Sunny is making this film is linked to a shocking incident that he had witnessed as a boy. It has haunted him and caused resentment towards his mother (Neo Swee Lin) and his older, mentally disabled brother, Boy (John Tan). In trying to tell his family’s story, Sunny is forced to confront and relive the past, taking him back to his childhood and the family that tried their best not to fall apart in the face of adversity. In the end, the filmmaking, for Sunny, becomes a cathartic exercise, inadvertently opening old wounds, exercising anger and guilt, and most of all, showing him that true love is about sacrifice.